Why the Rainier Satellite Receiver Excels over all other receivers. Why Purchase the D9865? It’s as easy as 1.. 2.. 3..
Commercial Receiver at Consumer Friendly Price. 1) Did you know, the Rainier Cisco D9865 is designed with the North America signals in mind. Unlike ALL other FTA receivers which are designed for 3rd world foreign counties and their content. What this means to you is content meant for the U.S. and Canada works great. Gone are the iffy lock conditions with picture breakup, studder, freezing, and lip sync issues found with these foreign meant boxes. 2) The Rainier receiver is the ONLY c band satellite receiver that can subscribe to the U.S. Cable TV channels through us. Since the 4DTV Programming Center’s shutdown in 2016. Rainier is the ONLY provider to get this Cable content on your c band big dish. NO FTA receiver can subscribe to ANY cable content in the U.S. 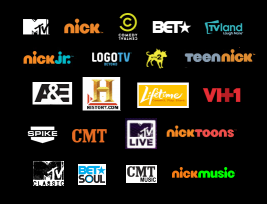 If you have one of these this severely limits your content viewing choice’s and future expansion of Cable content. Beware of shady FTA dealers misrepresenting their boxes being able to receive subscription cable content, this is the furthest thing from the truth. 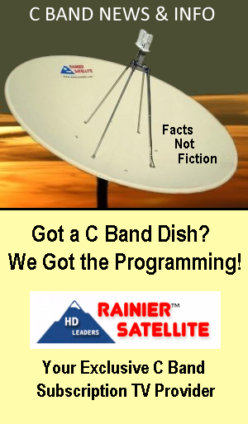 Rainier Satellite is exclusively licensed to provide this content on c band, no one else. If your a recent cord cutter Rainier provides Cable content for LESS! 3) Rainier’ s 9865 receivers are built and backed by Cisco for trouble free performance and longevity. Unlike foreign meant FTA boxes sold by dime a dozen FTA dealers. Gone are any worries about, will my receiver work tomorrow?? Your also well protected by Rainier and Cisco. 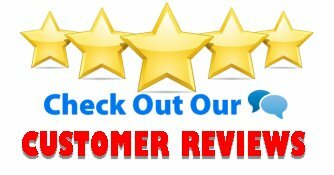 Should your D9865 ever need repair service, (very unlikely) Rainier and Cisco gives you excellent service with full support. We are here for you and strive to make the customer happy. Posted on June 28, 2017 June 30, 2017 Author rainiergroupCategories Rainier NewsTags 4DTV, 4DTV Shutdown, a&E, americas top 120, big dish progranning, big dish system, Bloomberg TV, C Band HDTV, C band programming, c band programming survey, c band satellite, C band Satellite Dish, c band satellite system, cable cut the cord, charlie dish network, directv, dish network, fta, Glen Musielak, hd c band programming, HyperMegaSat, mtv, NPS, ovation tv, powervu, programming center, rainier satellite, Rainier Satellite Review, Ricks Satellite, satellite receivers limited, skinny bundle, skyexpress, Skyvision, SkyXpress, sling tv, SRL, tek2000, Titanium SatelliteLeave a comment on Why the Rainier Satellite Receiver Excels over all other receivers. 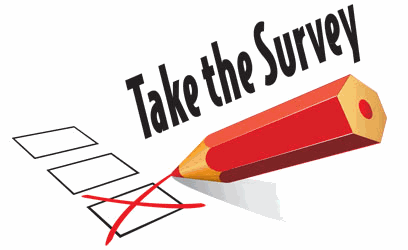 Please take our survey on the type of Programming content you watch, and would purchase from Rainier? You can choose 2 options. This survey runs till July 1st 2017. All can vote. Thank You for voting. What Programming Content Do you wish to see on Rainier Satellite? UPDATE 7/2/2017: Voting period has ended. Thank you to all who’ve voted. Rainier and the programmers appreciate your feedback. This information will be used to help in pursuing additional channel agreements that the public is interested in. We will be reporting good news concerning additional programing launching on Rainier soon. Keep your eyes here on our news page to get the latest information. You can also call 509-486-4137 for more information at any time.